Be creative with recipes. Now try this super delicious steak sandwich recipe that will give you appetizing taste and flavor. Steak sandwich is great to serve to family as easy lunch and dinner. If you don’t like beef to eat then you can skip it and enjoy with chicken. 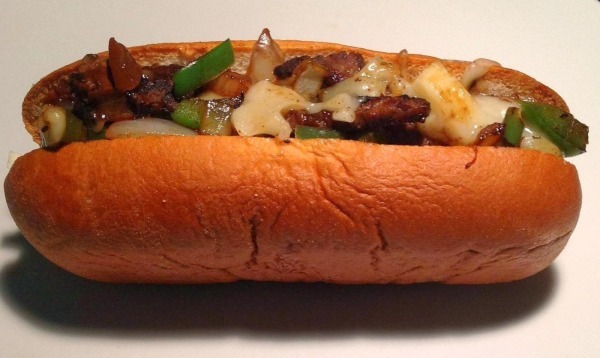 Get the ultimate taste of steak and cheese in one recipe. Marinate beef steaks with crushed black pepper, crushed red pepper, salt, chopped garlic, vinegar, Wooster shire sauce and oregano overnight. Keep in fridge overnight. Now cook in grill pan with 2 tbsp oil from both sides until cooked. In another grill pan sauté onion, sliced capsicum with a little oil, black pepper powder and salt. Cut hotdog bus from center into two. Put one steak in each. Top with cheese slice. Spread fried capsicum and onion. Cover with the other bun.